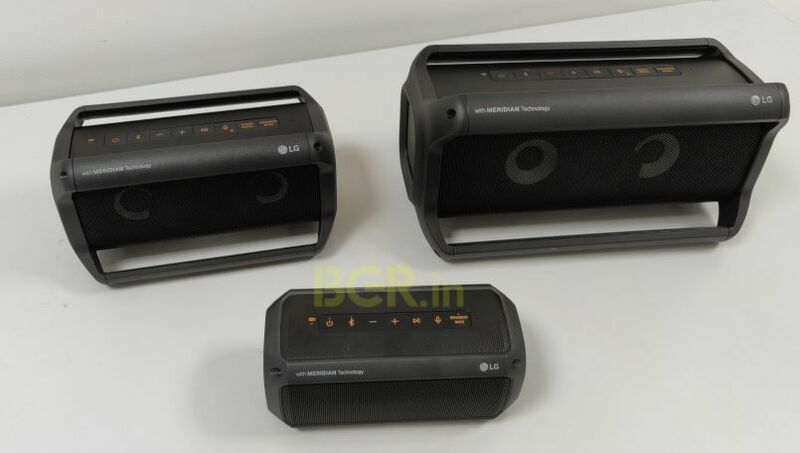 All four LG speakers are slated to hit Indian market in mid-October. 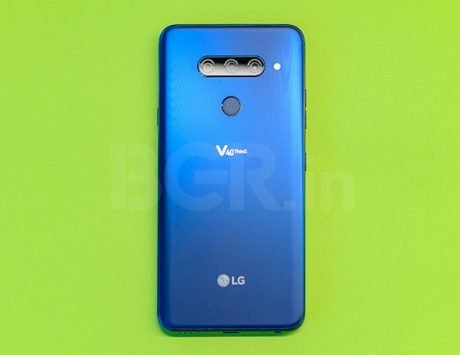 LG Electronics has launched a new line up of speakers featuring Artificial Intelligence in India. 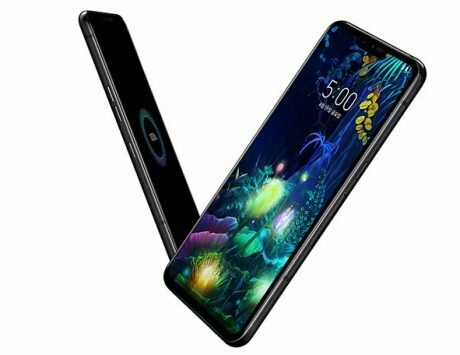 The all-new LG XBoom AI ThinQ WK7 comes with Meridian Audio and Google Assistant integrated. The Wi-Fi smart speaker boasts of a cylindrical shape design and certified Hi-Resolution audio playback. LG has partnered with an English manufacturer Meridian Audio to deliver best-in-class audio performance. The LG XBoom AI ThinQ WK7 speaker is one of the first product with built in Google’s new Android Things platform from LG. It comes with Google Assistant and built-in Chromecast functionality that allows it to be connected to multi-room audio system. One thing that makes it different from Google Home is its ability to connect to Bluetooth in absence of Wi-Fi. LG has also launched its rugged Bluetooth speaker line up in the country. The three new PK series – PK3, PK5 and PK7 – bluetooth speakers come with built-in non-removable battery, and same Meridian Audio technology like the WK7. LG claims that battery allows music playback up to twenty hours between charges. The front of the speaker features the grille which gives a peak to the LED lights surrounded on dual tweeters. The speaker also synchronizes its built-in LED light to the rhythm of the music to create a pulsing light show for any song. The LG PK5 and PK7 speakers come with weather-proof/splash-proof (IPX5) rating, whereas the LG PK3 offers IPX7 rating standard. These come with built-in microphone functionality which lets you connect to phone calls from speaker itself. You can also do voice search through these speakers directly without using your smartphone, although the Google Assistant voice search will still be triggered on you smartphone. LG has just included a voice search trigger button on these speakers. LG says that the aptX HD built-in maintains the original sound quality on the PK series speakers. 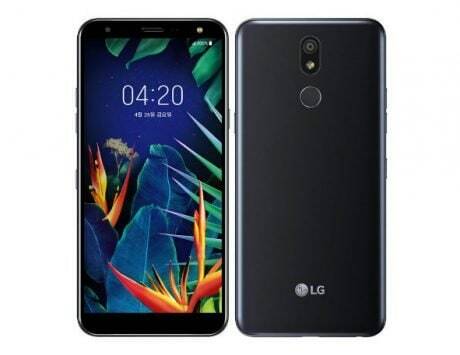 The AI-powered LG WK7 is priced at Rs 27,990. The three Bluetooth speakers with built-in LED lights and IPX ratings start from Rs 10,990. 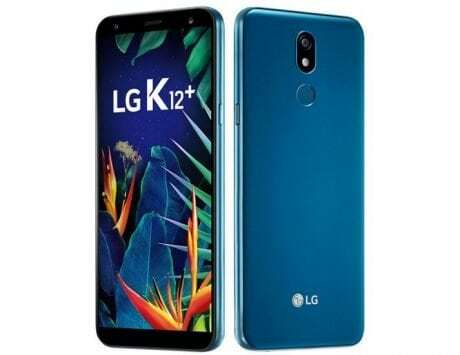 The LG PK3 is priced at Rs 10,990, the mid-sized LG PK5 will come at Rs 14,990, and the biggest of the lot LG PK7 will be available for Rs 22,990. LG hasn’t specifically noted availability of each speaker but said these will hit the Indian market in mid-October.